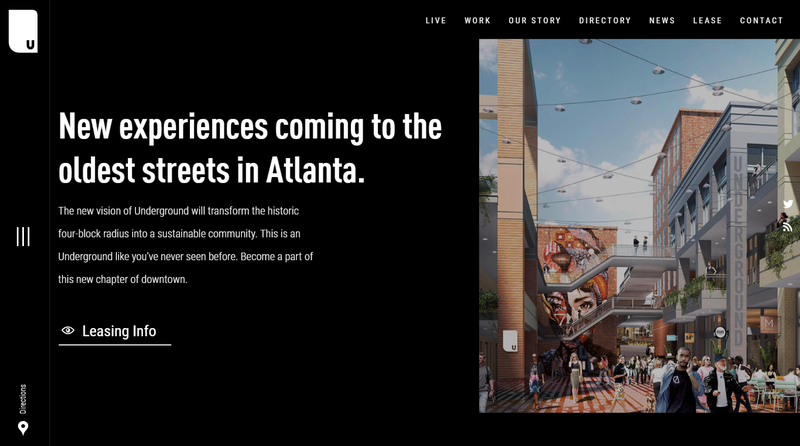 Be right back… team 360 is aweing over the cool, new Underground Atlanta website that launched this week and was designed by our friends at Visual Soldiers. Vibrant, sleek + fresh, the new digital experience helps piece together the new vision of Underground that will transform the four-block radius into a sustainable community. Visit the website + you will find construction updates, press hits, Underground’s story + history, tenant directory, leasing info and more.